LIA – 50 years young! 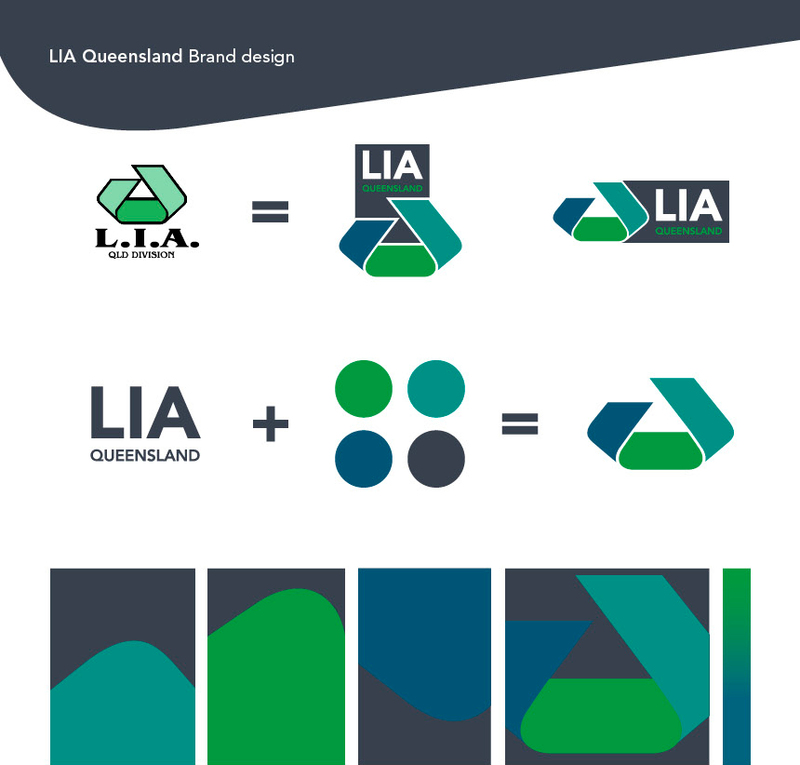 Salt was recently approached to update the branding for LIA Queensland. LIA (the Lithographic Institute of Australia) was originally formed over 50 years ago. It is a well-respected industry association providing support, knowledge and connections for all within the printing and graphic arts industry. Why we should never change for change sake? For many long-standing members their logo was a ‘sacred cow’ and should NEVER be changed. But to others the organisation was in desperate need of an update – a means by which to engage with a new younger generation. Membership numbers have been waning for a number of years – so a fresh presentation of the organisation’s branding was hoped to be a first positive step toward reviving interest in LIA. But where to begin???? How do you ‘update’ a 50-year-old logo? How do you not offend the traditionalists? How do you attract a new, much younger, more progressive audience? Our solution . . .
NOT to change the logo. Rather, refine it and add a new dimension to its application. By addressing the dated typography and finessing the existing logo symbol, we were able to reinvigorate the identity. By broadening the colour palette we were able to retain the ‘traditional’ LIA Green whilst enhancing its application by placing the logo on a darker, neutral colour. Each year the LIA promotes and presents the Annual “Graduate of the Year” Awards for apprentices within the Queensland Print Industry. The Awards event provided Salt with an opportunity to launch the new branding by applying it to a number of promotional resources including a Display Banner, Table Tent Cards, Award Certificates and PowerPoint presentation. 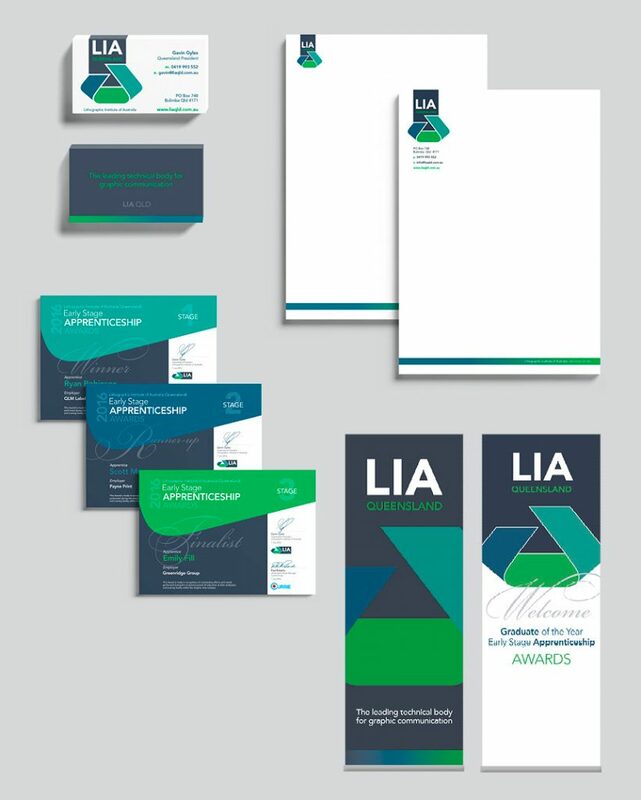 The development of the new LIA branding was the work of Salt’s Junior Designer Gemma Jestico. The project provided a valuable learning ground for Gemma, who designed all of the corporate and promotional collateral along with documenting the application in a detailed branding guidelines. Love your work Gemma! Our work is not yet complete, as we are now investigating the development and construction of a new website for the LIA. This will also provide our newer Salt Designers with a fabulous opportunity to learn in more detail the technical requirements of design for web. https://www.salt-design.com.au/wp-content/uploads/2018/02/salt_lia_branding_header.jpg 530 860 Editor https://www.salt-design.com.au/wp-content/uploads/2017/02/Salt-website-header-logo-reverse-300x138.png Editor2016-08-09 21:08:462018-12-12 10:50:43LIA – 50 years young!